I have just finished working with Helen on 'Shadow over Southwark' - and thoroughly recommend her in every capacity. 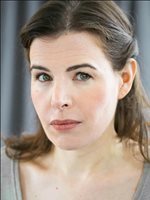 A dedicated professional she is absolutely committed, reliable, talented, switched on, flexible, great with a script and with improvisation, has great ideas, immerses herself in the character - and is also an absolutely lovely and fun person to work with. Hope to work with her again soon!